Elderly patients, especially those who require nursing home care, are likely to depend on one or more drug prescriptions. Medication errors have been recognized as a common and growing problem in nursing home care that can result in serious injury or wrongful death. Nursing home facilities must have effective procedures and policies to ensure that every patient is given the proper medication and dosage. Preventable medication errors are tragic and preventable. Responsible individuals or entities should be held accountable. 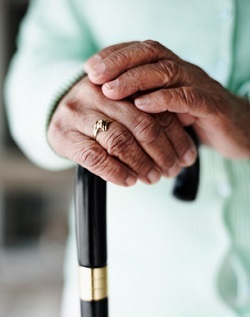 Our Boston nursing home injury lawyers are committed to protecting the rights of our clients and in raising awareness to reduce the number of medication errors in Massachusetts and nationwide. In addition to helping victims report negligence and nursing home injury, we will provide strategic counsel and advocacy in any case involving medication error and injury or wrongful death. Improper delivery: Pills may be crushed in food or take as a long-term release. An injury can occur if a nurse or staff member crushes or slices medications that should be taken whole or with food. Similarly, medications that are not properly mixed or “rolled” before being administered can cause serious harm to a patient. Without proper preparation of a medication, a patient could get too much or too little at once. Failure to provide liquid or food with medication: Many pills have specific instructions to be taken with food or water. Others will clearly indicate that they should not be taken with milk products or certain foods. Medical personnel should know the right combination of food or water to ensure its effectiveness and the safety of a patient. Failure to ensure patient swallows pills: Some patients may resist taking tablets; however, medical staff must respond appropriately. If pills aren’t properly taken at the right time, this is a medication error that could be dangerous. Mistaken medication: A patient who receives the wrong pill or an overdose could suffer serious harm. Nursing homes must have processes and procedures that ensure accurate delivery and administration of medication. There are countless reasons for medication errors in nursing homes. With a focus on the bottom-line, many nursing home operators will cut costs by reducing staff. This means that staff members maybe overworked, tired, or unable to keep up with their duties. Severe medication errors may occur in busy nursing homes where patients are not properly cared for or supervised. If your loved one was injured by improper medication, you should consult with an experienced advocate as soon as possible.